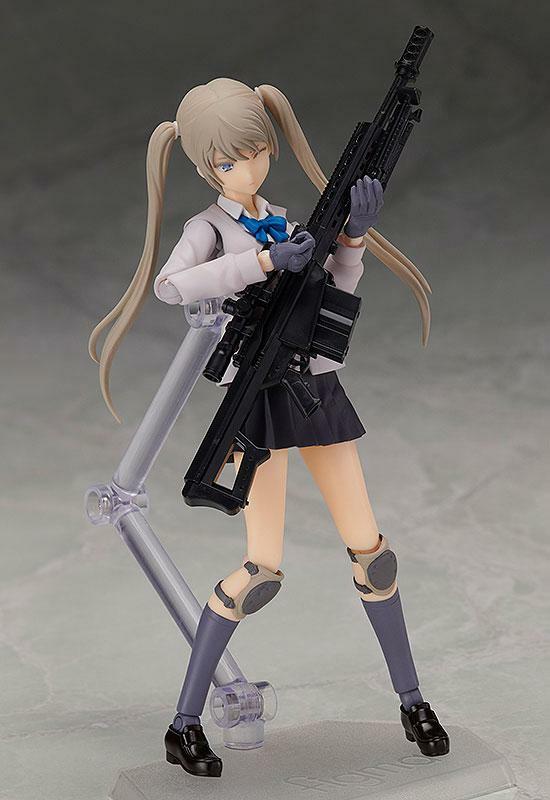 Aus TOMYTEC'S "Little Armory"-Reihe kommt diese detailreiche Figma Actionfigur von Maria Teruyazu. Sie ist ca. 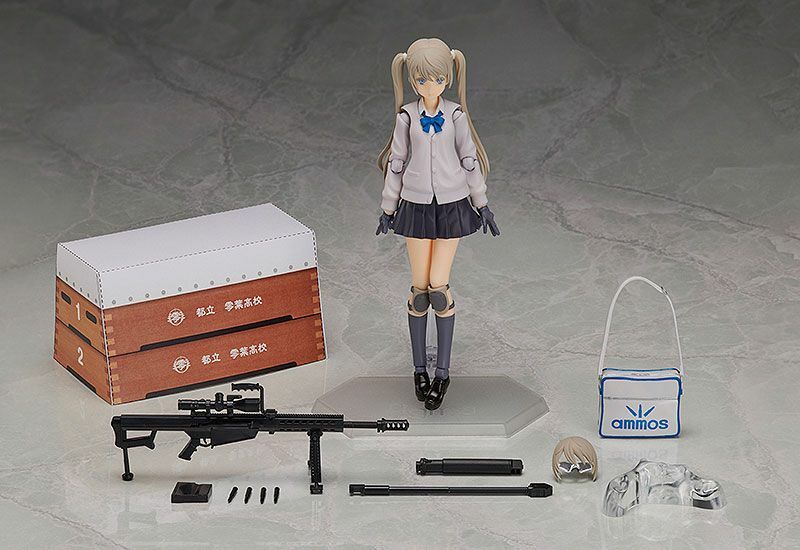 13 cm groß und wird mit weiterem Zubehör und Austauschteilen sowie Figurenständer geliefert. From TOMYTEC's 'LittleArmory' 1/12th scale weapon model series comes a figma of one of the series characters - a student of Reiyou High School's sniping classes, Maria Teruyazu! 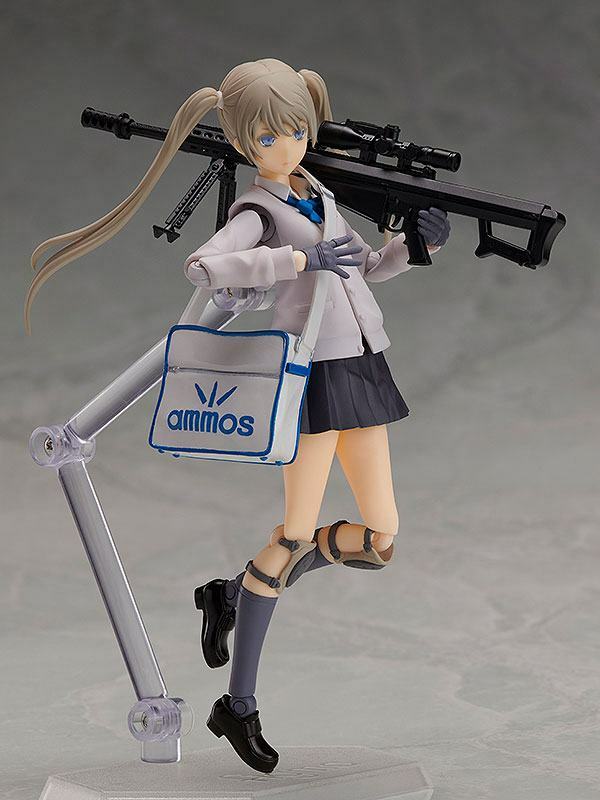 - She makes use of drawer joints in her shoulders allowing her to easily wield the 'Little Armory' weapons. 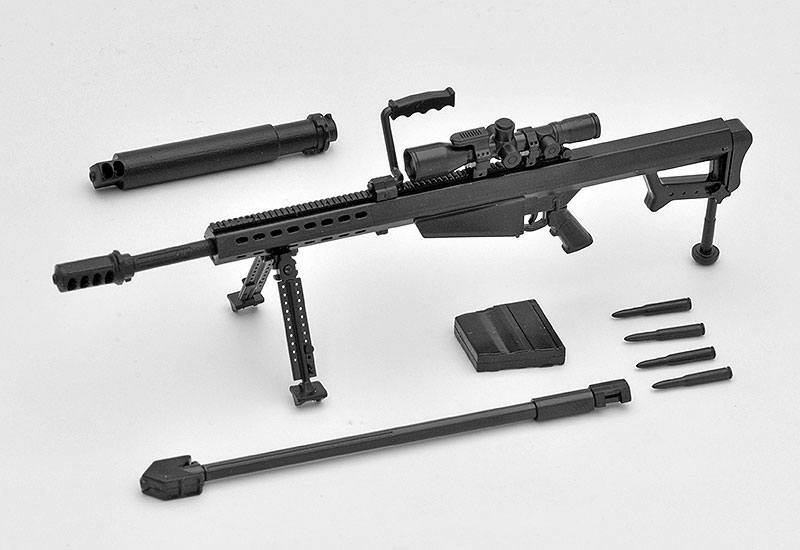 - A plastic model runner kit for a M82A1 semi-automatic anti-materiel rifle is included. 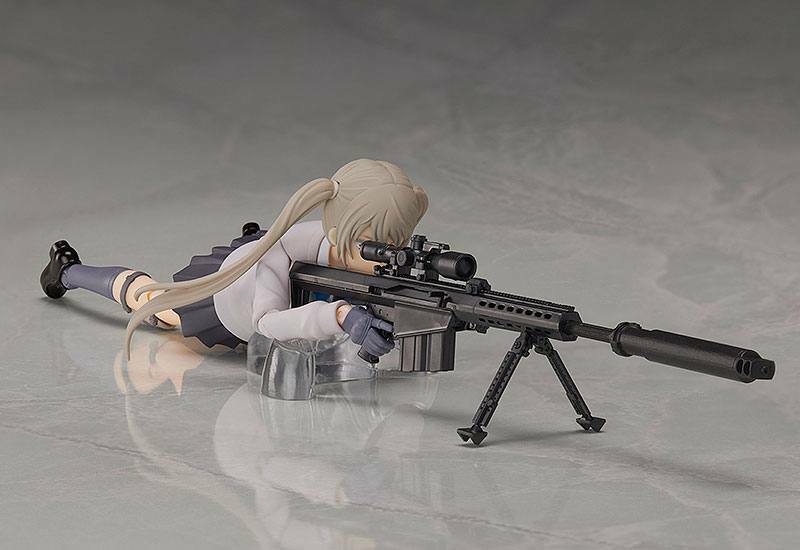 The model is limited to the figma release and includes a short barrel for short-range combat, a new model muzzle brake and large sound suppressor as optional parts to attach to the weapon. 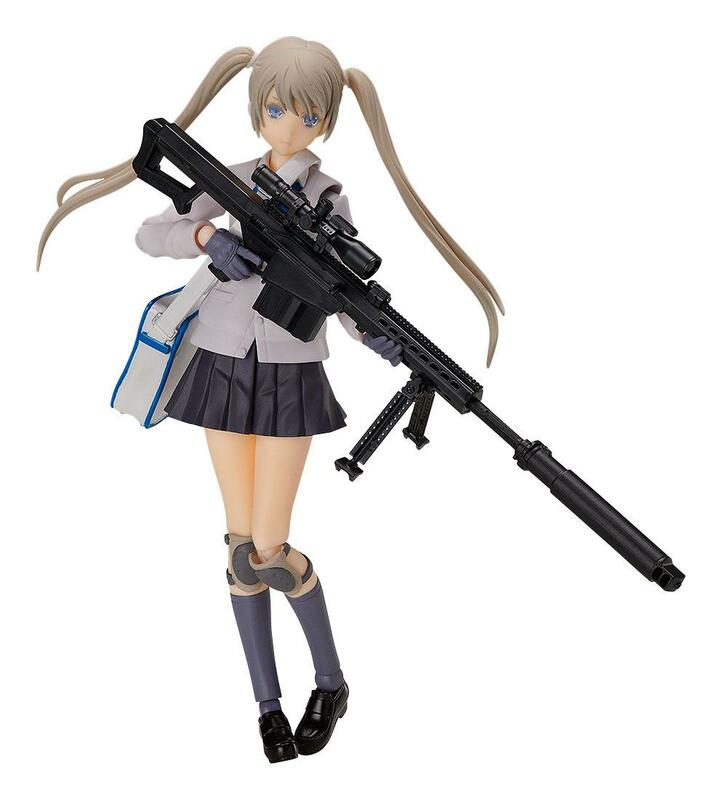 - She comes with both a standard expression and an aiming expression for combat scenes. - An alternate head part and base are both included which allow you to pose her prone. 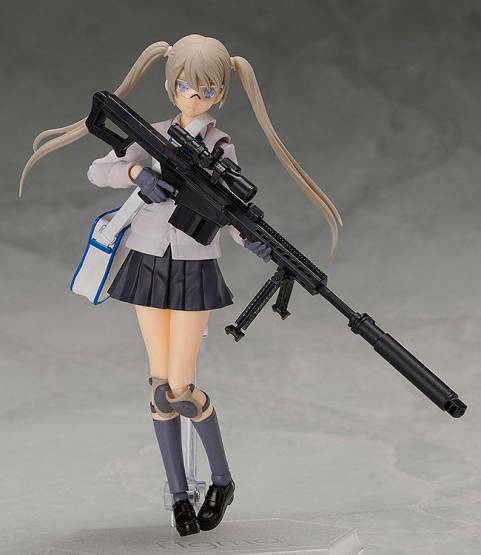 - An alternate hair part with shooting glasses as well as a sports bag are also included as other optional parts. - The background sheet of the product features a papercraft kit to create a vaulting box. 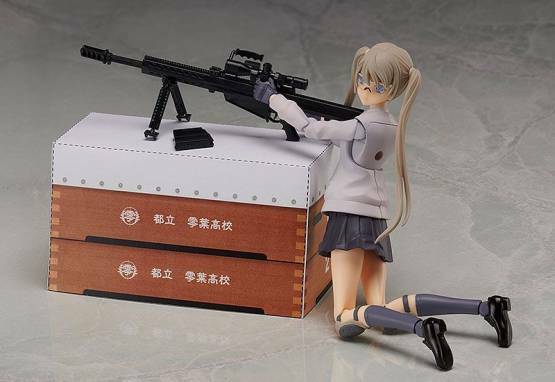 - The package includes an original illustration by illustrator Haruaki Fuyuno.